We could really make this a braggy piece about “Roaster of the Year,” what that means, why we won, why we are so incredibly rad at what we do, but you know… that’s not our style. Instead of writing about the joys of winning an award like Roast Magazine‘s Roaster of the Year and what that means for our business, we really want to take the time to focus on why we love what we do and the joy it brings. This award recognizes not just Amavida Coffee, but also our team, our growers, our community and our beloved coffee drinkers. 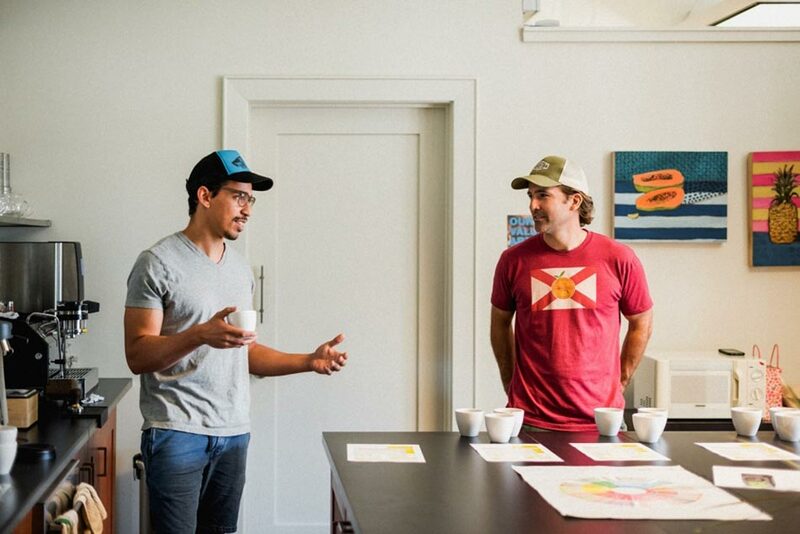 Over 13-years-ago, Dan and Sally Bailey started Amavida Coffee with a purpose to be seen as a leader by our industry, suppliers, community and employees. Who knew that years later, not only would we still be serving people in our local community wonderful organic coffees from across the globe, but also we’d be discovering their love for the communities crafting the specialty coffees we roast. All the hard work from origin can be savored with every sweet sip! From humble beginnings in the Bailey’s garage with an old Hottop, small home roaster, to now operating from our new roasting facilities and with a workforce who are equally as passionate and driven to see that we are producing the best possible roast and product – We couldn’t be more grateful and excited to share this award from bean to cup with so many! Naturally, we want to say that all of our specialty coffees are winners; and that most certainly is no lie. The beans we source at Amavida Coffee all tell a story. A story of people, of different worlds, of struggles, and of successes. Stories of politics, gender equity and overcoming obstacles that most of us will never encounter in our lifetime. When submitting our application to Roast Magazine for Roaster of the Year, we were asked to select only three roasts. 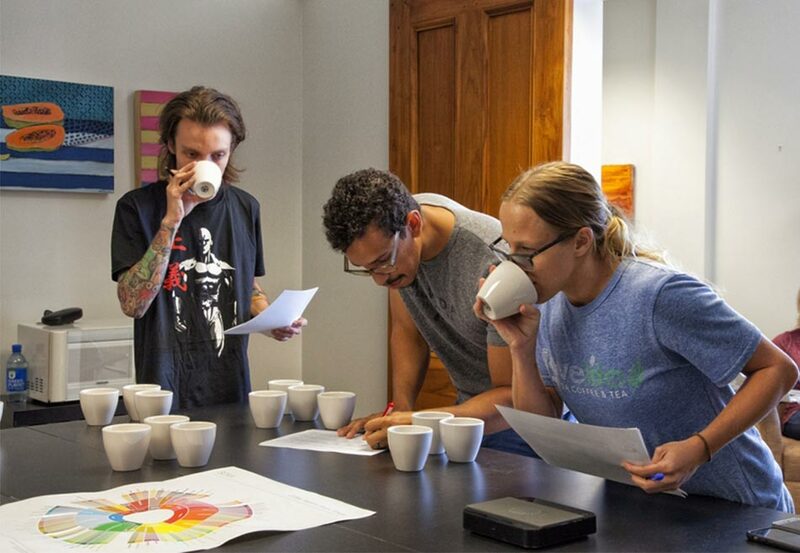 The requirements were to include our “Very Best, a Blend, and a Single Origin.” During the selection process, narrowing down a “Very Best” was a quite a struggle. We had several reserve coffee lots and some with just as incredible stories. Finca El Obraje is located in the southwestern area of Colombia, in the Narino Department. The farm is owned by Pablo Guerrero, who was the first to introduce specialty coffee to the Tangua area. 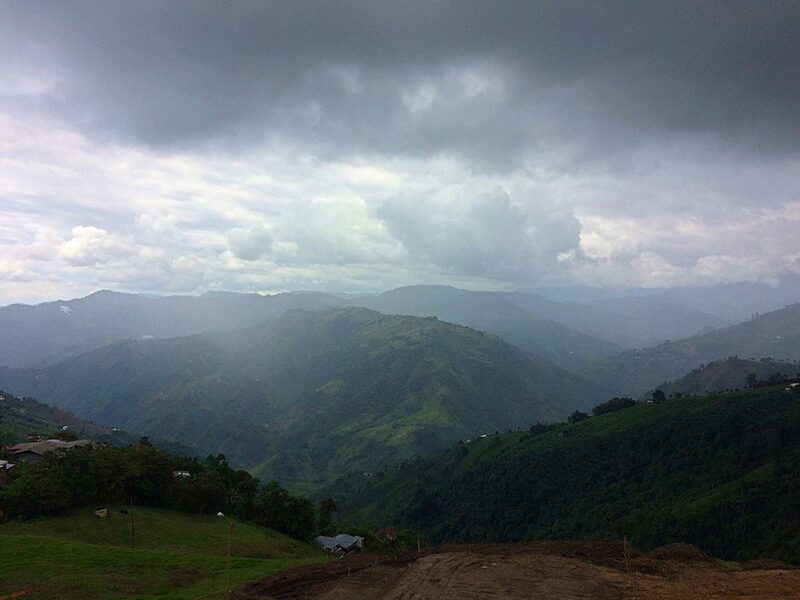 The region is located in high altitude (2000+ meters) and caused Pablo to doubt on whether the coffee would flourish. With one of the most stunning pieces of property in the area, Pablo’s coffee was very successful! His hard-work and perseverance has lead more coffee growers to the area. This Colombian Gesha was sourced by our very own Director of Coffee, Martín, and was submitted as our “Very Best”. At Amavida Coffee spreading passion through education is something we value for our team members. It’s not just about professional development but helping to establish personal growth as well. Martín has grown from Barista, to trainer, to our now serving as our Director of Coffee. In an extraordinary act of passion, this was among the first lots of specialty coffee that he selected to source in his role as Director of Coffee. With such good intentions for these beans from the start; once landed, Martín worked hard to get roast dialed-in and earn the coffee a score of 95 from Coffee Review. A coffee of this caliber, being sourced from within our network of producers, is significant to our business and for the specialty coffee community as a whole. This coffee’s story is one that speaks to the person who enjoys high quality coffee, and it also shows that your choice of coffee can make a significant impact; contributing to a more sustainable world. With tremendous enthusiasm and innovation from both Pablo and Martín; we were thrilled we could send-in and be recognized for such a beautiful roast with a juicy and round body! Being recognized as a leader in our industry is an incredibly humbling experience and something we may not ever stop enjoying the feeling of! When Amavida Coffee started in 2004, earning title “Roaster of the Year” was something that certainly was not an imaginable part of our roasting dreams. Honestly, a few of us, including Dan didn’t think we stood a chance. Nevertheless, we decided to go for it because submitting for Roast Magazine’s Roaster of the Year was something we felt was a true fit for our vision; and heck, why not! We love our team here at Amavida Coffee, and equally love, and want to honor all the people throughout our supply chain who devote their lives to their craft. We hope all aspects of Amavida Coffee can be connected to something that is educational and will provide growth for someone. We recognize that without the success and growth of the people who keep the business running, collective impact cannot be made and none of these successes will be possible for our company. Our dreams and hopes are to continue building a market for organic coffees that are fairly traded; and to go even further, creating positive collective impacts within specialty coffee. Amavida Coffee would not be where we are today without the passion, drive, and perseverance of the farmers producing these wonderful coffees. These farmers and exporting coops are not just producing specialty coffee, but working hard to follow organic standards and to pay fair wages. These specialty coffees help build confidence and knowledge among coffee drinkers on what great organic coffee really is and what that means for the world at large. So, the next time you grab that “quick coffee” from the cafe, or are shopping for a new roast, we encourage you to take a moment to think about the story of that coffee, to ask questions, and to choose a specialty coffee that has a story which speaks to you. It’s amazing how different coffee can taste & how good decisions can feel when you know that the quality of the roast you choose can extend beyond a cupping score. Your specialty coffee selection can produce quality of life. Thank you for helping us win 2018 Roaster of the Year! Click here to get a taste of our organic coffees today!